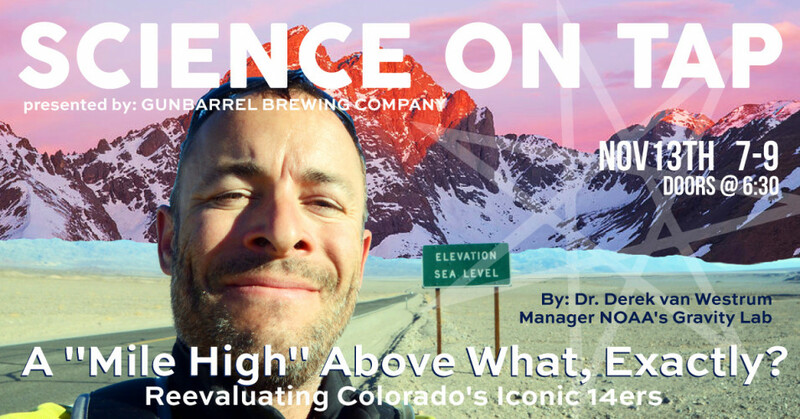 Denver is the "Mile High City," and Colorado is famous for its collection of "14ers". But how exactly are such "heights above sea level" determined at locations so far from the sea? And what if I told you that in 2022, the US is actually set to replace mean sea level with an entirely new basis for its height system? Sit back, and enjoy a beer or two as I describe how the new system will work, why you're gonna love it, but what it might mean for some of those, um, lower 14ers. Derek van Westrum received his PhD in physics from the University of Colorado and spent the next 15 years making instruments that measure changes in Earth's gravity. Since 2014, he has managed NOAA's gravity lab at the Table Mountain facility, north of Boulder - somehow finding the one division at NOAA that doesn't actually work directly with the Ocean or the Atmosphere.